Rachel Parkes provides some tips to help prepare your son or daughter for leaving home. As a single parent, Helena Martyn had a few money questions when her son, Tom, headed off to Uni. She’s delighted with how things have gone. Having never had the opportunity herself, Harvinder Bharaj was determined to ensure her sons could benefit from a university experience and she’s supported them every step of the way. It might be a parent’s prerogative to worry, but rest assured that we have a number of support services in place should your son or daughter ever need them. Are they ready to fly the nest? Here's a little advice on helping to ensure they can hit the ground running at university. For them it's a new adventure. You, however, may find yourself affected by 'empty nest syndrome'. Dr. Steve Taylor, Senior Lecturer in Psychology at Leeds Beckett, talks us through it. 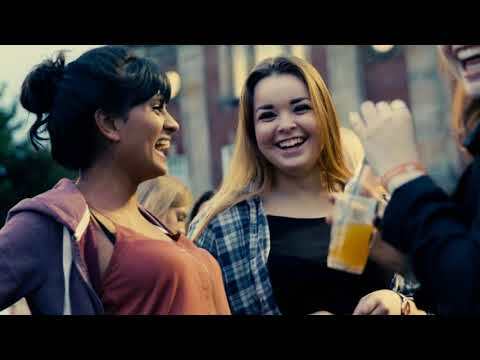 Watch our video to get a feel for what moving into accommodation and settling into university life is really like. We caught up with new students as they arrived at our Halls of Residence, met roommates for the first time and got to know each other at a specially arranged Welcome Party. Writing a personal statement will probably be a difficult part of the UCAS application for your son or daughter. There are many ways in which you can help them though. If your son or daughter is going to be starting university soon and is 25 or under, they will be eligible for a Men ACWY vaccine to protect against meningitis.